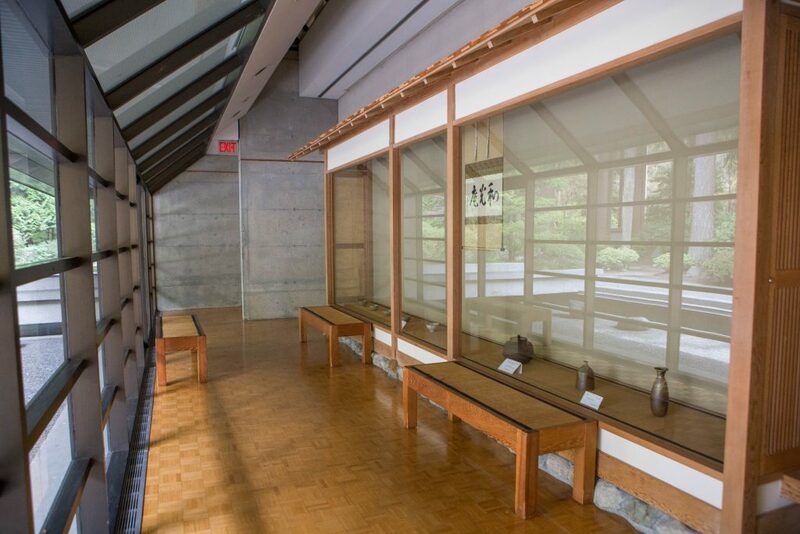 Located in the back of the Asian Centre, this gallery can be used for tea ceremonies and small receptions. It has a large display case, and one glass wall, with a view of the surrounding moat and Japanese gardens behind the Asian Centre. 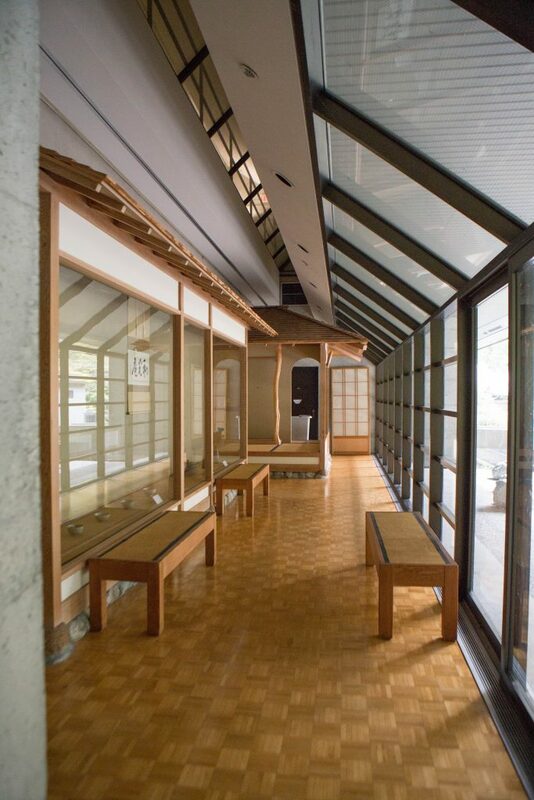 It has 3 tatami-covered benches for sitting and/or displaying purposes, and one small table for flowers/sign-in.